Good afternoon Stateline! 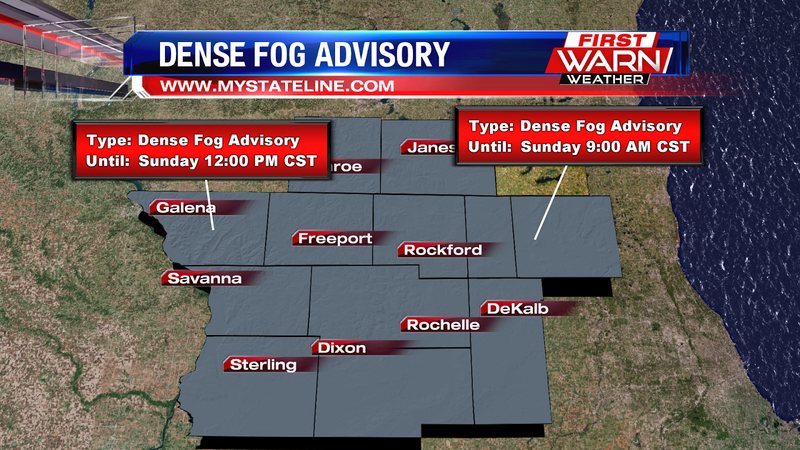 A dense fog advisory is now in effect for Carroll, Stephenson, Jo-Daviess, Green, and Rock counties. This will last through the night tonight and end around noontime tomorrow. If you are heading out tonight or tomorrow morning, visibility will be around a 1/4 of a mile at times and will create hazardous driving conditions! 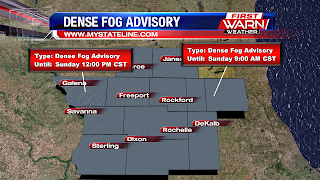 5:30 PM Update: Whiteside county has now been added into the Dense fog Advisory. This is also set to expire around noontime tomorrow! 7:30 PM Update: A very foggy evening as we take a look at our Mercyhealth skycam over downtown Rockford. McHenry, Boone, Winnebago, Lee, Ogle, and Dekalb counties have been added to the Dense fog advisory. 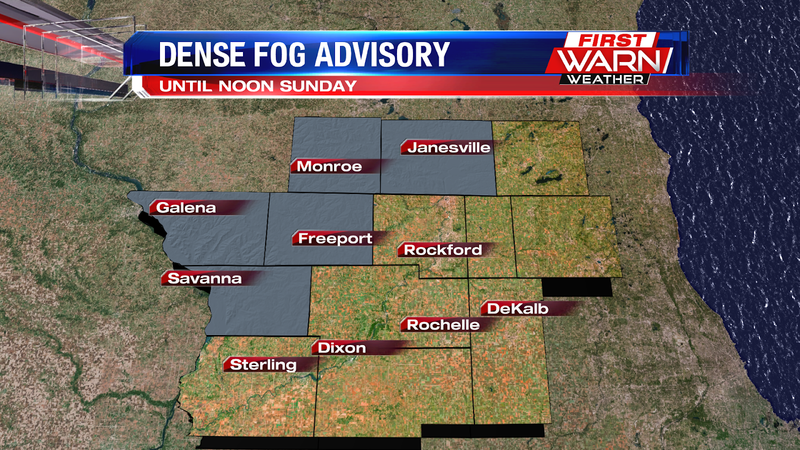 This advisory will expire around 9 AM tomorrow morning. 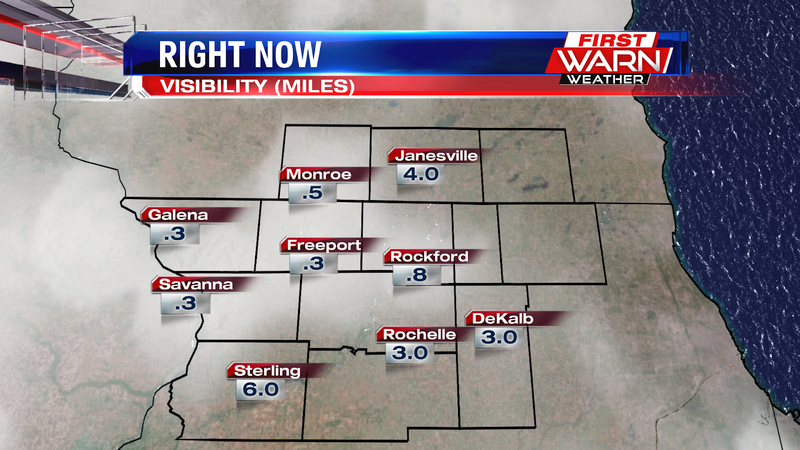 We are already seeing visibility drop to under a half a mile in some spots. 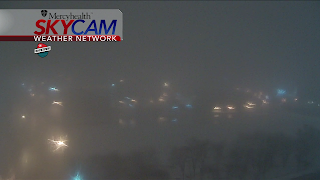 If you are heading out this evening or tomorrow morning, take your time out on the roads! A Wet & Windy Weekend! Snow Totals and A Warm Up for The Weekend!